Who is the Best UFC Lightweight of All Time? All have made a convincing case for themselves in their respective weight classes. You may have noticed however, that there is no entry for the lightweight division. That’s because the lightweight division has been notoriously difficult to dominate and no one has enjoyed the same longevity as those in other divisions. But that’s about to change. On April 7, two men will compete to add their names to that elite company, I am, of course, writing about Tony Ferguson and Khabib Nurmagomedov. The winner of this fight will undoubtedly be the best lightweight in the UFC today. The current champion, Conor McGregor has only fought at the weight class once and, while that was a spectacular victory, he hasn’t fought since. Everyone else in the division has either lost to Ferguson or Khabib, or just hasn’t put together the kind of consistent performances necessary to be considered the best in the world. It really comes down to this fight. Before moving on though, it’s important to define greatness. The fighters on the list above have three things in common. They have all consistently won fights and performed well by dominating or finishing high level competition. So the criteria are: consistent wins, dominant performances or finishing ability, and high level of competition. In terms of all time greatness there are several other contenders at lightweight that make the shortlist: BJ Penn, Frankie Edgar, Benson Henderson, and Rafael Dos Anjos. However, there are several reasons that Khabib or Ferguson can jump ahead of these great fighters. 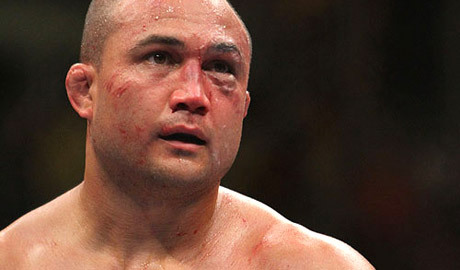 Let’s start with the living legend, BJ Penn. 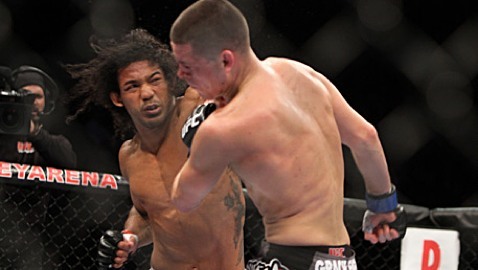 As great as he was, his longest UFC winning streak at lightweight was only three fights. Also, he was at his best when MMA was still evolving and didn’t face the same level of well rounded elite athletes that are available today. 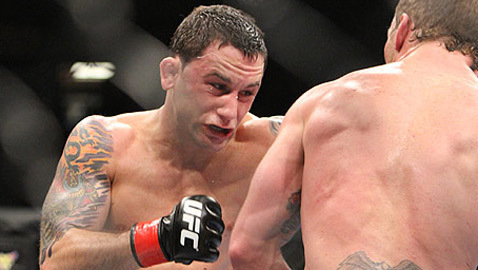 One final point is that Penn was outclassed twice by Frankie Edgar, who is also on the shortlist. Penn was a phenomenal talent but was born in the wrong era. He will always be a pioneer but can’t be realistically considered as the greatest of all time. That takes us to Frankie Edgar. His longest win streak stands at five fights, including two masterful performances over Penn. So that immediately put him in position as the best ever. But, he then went on to draw and beat Gray Maynard in two very close fights, before losing two razor thin decisions to Benson Henderson and then left the division altogether for featherweight. While Edgar’s performances were extremely impressive, showcasing a mixture of skill, heart and toughness, he didn’t show the same level of dominance that Khabib has shown or the consistency that Tony has shown over more fights. Finally we move on to Rafael Dos Anjos. While a great fighter, he was probably easiest of the shortlist to discount for two very straightforward reasons. He lost to Khabib and he lost to Ferguson. Khabib manhandled him in the same was he has done with everybody else and didn’t even lose a round. Ferguson outclassed and outlasted him in a fight that was more competitive than with Khabib but was still definitively Ferguson’s victory. That leaves the two men who will fight on April 7. Khabib is 25-0 in his professional career (9-0 in the UFC) and still hasn’t lost a single round. He has handled elite level competition in the same way that he handled lower level competition, with complete control. That includes victories over the excellent talents: Rafael Dos Anjos, Michael Johnson and Edson Barboza. Meanwhile Ferguson has gone on an unprecedented ten fight winning streak, seven of which have come by finish. Ferguson may not have been as dominant as Khabib, and has even been on his way to losing fights, but has still managed to pull through and get the win. Leave your thoughts on the best UFC lightweight fighter of all time in the comments section below!